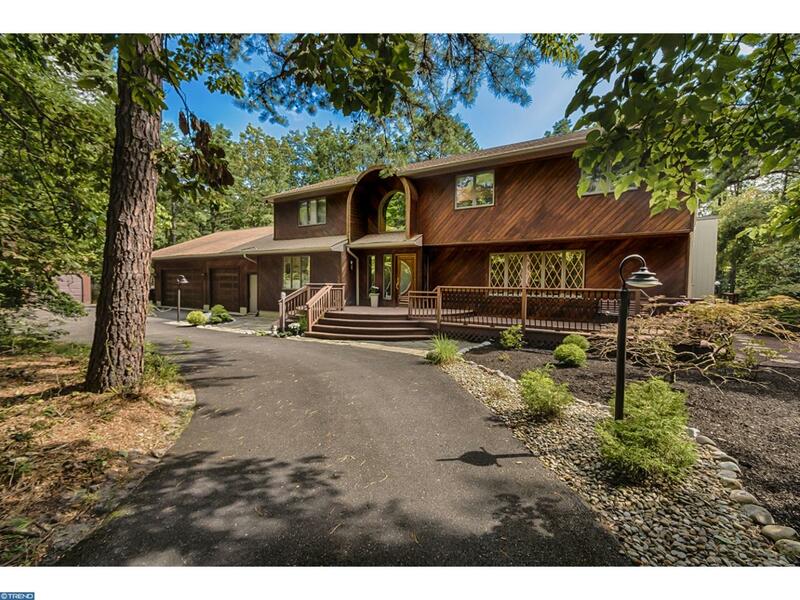 Wow - here is a rare opportunity to purchase a truly special custom residence on >2 acres among native pines in the sought-after lake community of Braddock's Mill. A circular driveway sweeps off Sawmill Court to the entrance - ascend the deck steps - there are 2500 running ' of decking around this home - and prepare yourself for a unique experience! Every inch was painstakingly designed by either the original builder/owner or current residents. The home is filled w/fascinating architectural artifacts & touches of whimsy. No need to remove your shoes - these are not hardwood floors - this is high quality custom-made commercial vinyl flooring! The foyer opens to a study to your left, living & dining rooms to the right. But walk straight ahead first, to the gleaming white kitchen and magnificent panoramic great room beyond. Walls of windows coupled w/the home's orientation ensure maximum daylight throughout. The distinctively designed kitchen boasts wonderful curves, custom white cabinetry, stainless appliances, & walk-in pantry and is open to a spacious breakfast room w/access to the wraparound deck. A side hallway leads to the powder room, basement, laundry room & attached 3.5 car garage. From the great room a spiral staircase descends to a finished lower level. Completely refurbished, this boasts an expansive game room w/ wood stove. There is also a large exercise room or 5th bed, a half bath, workshop & utility room. Looking for more whimsy - check out the old- fashioned telephone kiosk adjacent to the third egress from the basement which leads into the garage. Let's return to the main floor. Note the exquisite stained glass hanging in the two story foyer window. Time to ascend the gently curved staircase to the second story. A splendid master suite opens off the upper hallway to offer a spacious master bedroom w/upper deck - an ideal spot for that first cup of coffee. A generous master bath boasts a double stall shower & jacuzzi tub, and dressing area/walk-in closet. A guest room & hall bath lie farther down the hall, & two identically sized bedrooms w/ built in furniture complete this level. The residence is surrounded by nature and backs to green acres. The 3.5 car att. garage has a rear overhead door & there is a detached 1 car garage. The private beach & playground for Braddock's Mill Lake residents is close by, as is Woodford Cedar Run Wildlife. This extraordinary home exudes eclecticism & deserves your serious consideration.